Charles Tilly is among the most influential American sociologists of the last century. For the first time, his pathbreaking work on a wide array of topics is available in one comprehensive reader. This manageable and readable volume brings together many highlights of Tilly's large and important oeuvre, covering his contribution to the following areas: revolutions and social change; war, state making, and organized crime; democratization; durable inequality; political violence; migration, race, and ethnicity; narratives and explanations. 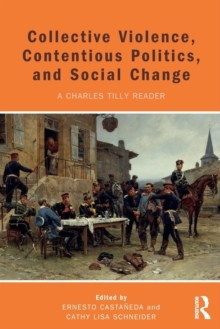 The book connects Tilly's work on large-scale social processes such as nation-building and war to his work on micro processes such as racial and gender discrimination. It includes selections from some of Tilly's earliest, influential, and out of print writings, including The Vendee; Coercion, Capital and European States; the classic "War Making and State Making as Organized Crime;" and his more recent and lesser-known work, including that on durable inequality, democracy, poverty, economic development, and migration. Together, the collection reveals Tilly's complex, compelling, and distinctive vision and helps place the contentious politics approach Tilly pioneered with Sidney Tarrow and Doug McAdam into broader context. The editors abridge key texts and, in their introductory essay, situate them within Tilly's larger opus and contemporary intellectual debates. The chapters serve as guideposts for those who wish to study his work in greater depth or use his methodology to examine the pressing issues of our time. Read together, they provide a road map of Tilly's work and his contribution to the fields of sociology, political science, history, and international studies. This book belongs in the classroom and in the library of social scientists, political analysts, cultural critics, and activists.